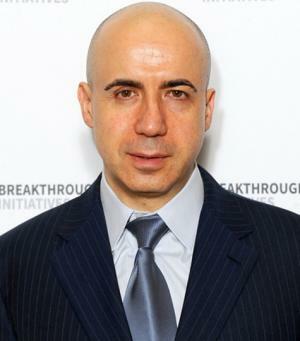 Russian Yuri Milner excels as an entrepreneur, venture capitalist and physicist, and is best known for founding the investment firms, DST Global and Mail.ru Group. Recently in March 2017, Fortune magazine named him as one of the World´s Greatest Leaders, obviously a heavyweight in the business world. So, just how rich is Yuri Milner, as of 2017? According to the reliable sources, Yuri Milner´s net worth is currently over $3.5 billion. Most of his fortune comes from his investments in companies such as Facebook, Zynga, Spotify and Alibaba among others, and through his firm DST Global. Born to a Jewish family in Moscow on 11 November 1961, Yuri was brought up by highly intellectual parents. His father, Bentsion Zakharovitch Milner, served as the Chief Deputy at the Institute of Economics of the Russian Academy of Sciences. Yuri´s mother, Betty Iosifovna, also held a prestigious position at Moscow´s state-run virological laboratory for disease control. Yuri followed his parents´ footsteps in education and graduated with a degree in theoretical physics in 1985. He then found work at the prestigious Lebedev Physical Institute, working alongside the future Nobel Prize winner, Vitaly Ginzburg. However, since he didn´t get a breakthrough in his field, he decided to switch, and thus started his career in business, selling grey market DOS computers in his native country. After the collapse of the national government, he moved to the States, and obtained an MBA degree from the esteemed Wharton School of the University of Pennsylvania in 1990. Yuri then invested his time toiling for the World Bank in Washington, D.C. In 1995, he was appointed the CEO of the investment brokerage company, Alliance-Menatep Bank, and a year later he was appointed as the Head of Investment Management and Vice-President of the aforementioned bank. His fortunes turned for the better in 1999 after he stumbled onto a review written by Mary Meeker regarding online business. Thus, he sought finance from the investment fund, New Century Holding, and his friend, Gregory Finger, to start the company Netbridge. The company grew rapidly, and soon merged with Port.ru to become, Mail.ru, in which Milner served as the company´s CEO until March 2012. One of his most famous acquisitions to date remains his company, DST Group´s 1.96% stake purchase of Facebook on 26 May 2009 for then a whopping $200 million, but now multiplied of course. In his personal life, Yuri Milner married ex- fashion model, now photographer and artist Julia Milner in 2004, and they have three daughters. He currently lives with his family Los Altos Hills in the Silicon Valley, bought for $100 million back in 2011, including a 25,500 square-foot mansion and a 5,500 square-foot guest house.